Irrespective of wide fluctuations in the short run, stocks generally converge to their fair value in the long run. We define small investors as those shareholders that are holding nominal share capital up to Rs 1 lakh. Most retail or small investors lose money in the stock market because they look for short-term gains. Stocks are volatile in the short run due to their sensitivity to the general market movements, which increases the probability of loss. To earn money, one should aim for medium to long-term investment horizon. Irrespective of wide fluctuations in the short run, stocks generally converge to their fair value in the long run. We define small investors as those shareholders that are holding nominal share capital up to Rs 1 lakh. Data compiled for 493 companies of the BSE500 index shows that small investors have increased their stake in 264 companies between Sep 2016 quarter and Sep 2017 quarter. 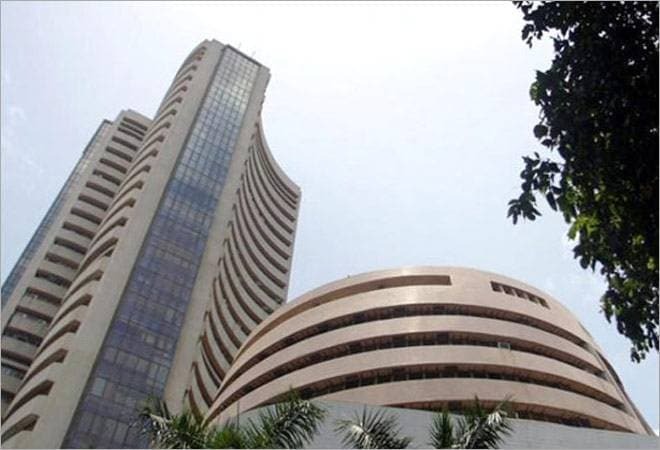 There are 225 stocks where small investors have reduced stake and in 4 companies their stake remained unchanged. Let us look at some stocks that were small investors' favourites in the last one year. They have more than doubled their stakes between Sep 2016 & Sep 2017 in these stocks. Moreover, stakes have shown a consistent increase in the past 5 quarters. 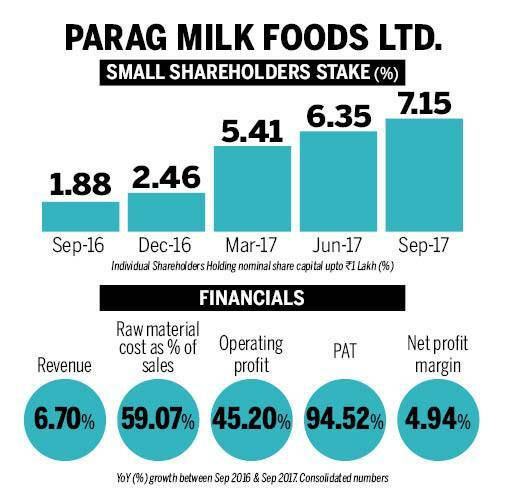 Parag Milk Foods: A FMCG dairy company with an integrated business model and strong R&D capabilities. The company has 2 dairy plants in Maharashtra & Andhra Pradesh with installed milk processing capacity of 2 million litres per day. Its network comprises of 17 depots, more than 100 super stockist and 3,000+ distributors. Company has a diversified product portfolio and exports its products to several countries. Its revenue and operating profit grew by 6.7% and 45.2% respectively in Sep' 17 quarter. The cost of raw materials as a percentage of sales revenue declined substantially from 68.2% in Sep 2016 to 59.1% in Sep 2017. This helped net profit margins that increased from 2.7% to 4.9%. Irrespective of good financial performance, the stock under-performed in last one year. Between 7 Dec 2016 and 7 Dec 2017, the stock lost -7.5% compared to BSE Sensex that gained 25.6%. Westlife Development: Through its 100% Indian subsidiary Hardcastle Restaurants Pvt. 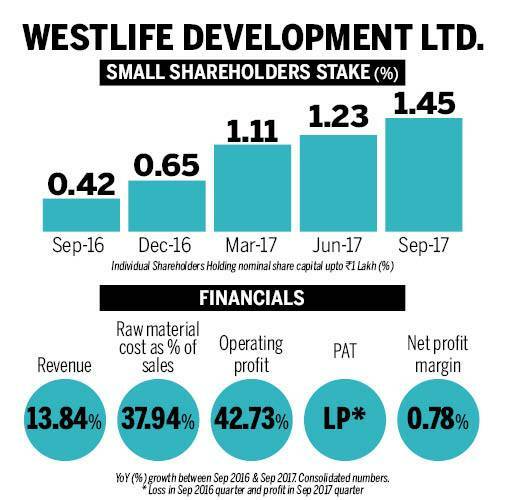 Ltd, Westlife Development owns and operates a chain of McDonald's restaurants in west and south India. It has 258 company-owned McDonald's restaurants located in the states of Andhra Pradesh, Telangana, Gujarat, Karnataka, Maharashtra, Tamil Nadu, Kerala, Goa and Madhya Pradesh. With workforce of 7800 employees , the company had 111 McCafes and 148 McDelivery hubs at the end of FY17. During July'17 to Sep'17, the company revenue & operating profit grew by 13.8% and 42.7% respectively. Raw material costs as percentage of sales declined to 37.9% in Sep 2017 compared to 40.5% in Sep 2016. Helped by increase in sales revenue & declining interest costs, the company reported net profit of Rs 2.07 crores in Sep'17 compared to a loss of Rs 2.3 crores in Sep'16 quarter. It substantially outperformed the market by nearly 4 times in the last one year. Between 7 Dec 2016 and 7 Dec 2017, the stock gained 101.9% compared to BSE Sensex that gained 25.6%. 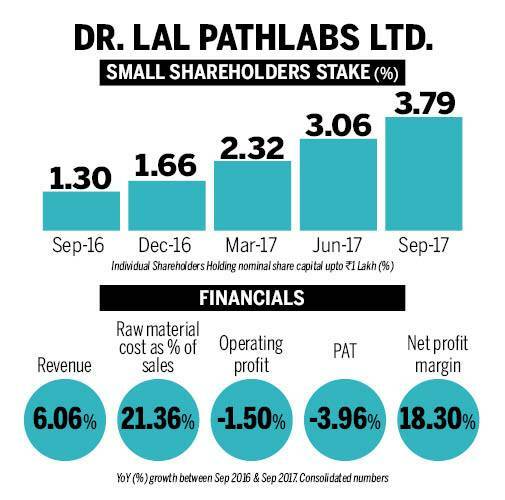 Dr. Lal Pathlabs: Engaged in diagnostic services in the healthcare domain, it provides a broad range of diagnostic and related healthcare tests and services for use in core testing, patient diagnosis and the prevention, monitoring and treatment of disease and other health conditions. The company has a network of 189 clinical laboratories, 1,759 patient service centres and 5,021 pickup points. Its customers include individual patients, hospitals and other healthcare providers and corporate customers. Its expenditure growth was more than the revenue growth in Sep'17 quarter which reduced its net profit. Revenue grew by 6.06% whereas the total expenditure grew by 9.9%. Although, the other income rose by 11.6% but its operating profit and net profit declined by -1.5% and -3.96% respectively. The stock underperformed the market in the last one year. Between 7 Dec 2016 and 7 Dec 2017, the stock lost -21.4% compared to BSE Sensex that gained 25.6%. 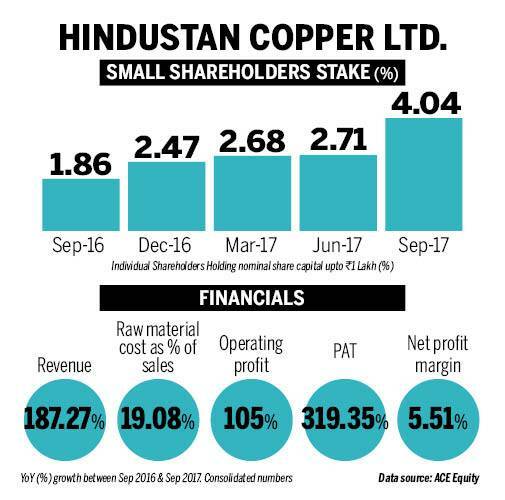 Hindustan Copper: A public sector undertaking that is engaged in production of primary refined copper in India. Its principal activities include mining of copper ore, concentration of copper ore into copper concentrate through a beneficiation process and also smelting, refining and extruding of the copper concentrate into refined copper in downstream saleable products. Other than selling refined copper products principally in the form of continuous cast wire rods, wire bars and copper cathodes, the company also sell surplus copper concentrate. In Sep'17 quarter, the company's revenue and operating profit registered a substantial growth of 187% and 105% respectively compared to Sep'16 quarter. The cost of raw materials as a percentage of sales fell from 32.6% in Sep'16 to 19.1% in Sep'17 quarter. Increased net profit margins helped its earnings per share (EPS) that registered a staggering growth of 342.9% between Sep'16 & Sep'17 quarter. The stock outperformed the market by more than 1.5 times in the last one year. Between 7 Dec 2016 and 7 Dec 2017, the stock gained 42.6% compared to BSE Sensex that gained 25.6%.